Home / Blog • Headline / The racing has begun! So, now moving onto the adults! Simon, Clodie and myself were racing in the New Forest, and Isobel and James were racing in the weymouth Half. It was Isobels first ever Half marathon, and first key race since starting training, and James first venture out the house after becoming a dad a couple of weeks ago! Isobels target was to beat the 2hour mark, which she comfortably did, with plenty left in the tank (1:55) James, illustrated that he has lost little of his post ironman form and came in comfortably in 1:45 despite sleepless nights and hectic work! Now onto Race new forest. My very nice planet x team exocet arrived in the post this week, so despite not being out on it, I still decided to race on it, quite frankly, its far too nice not too! Despite the course being a short one ( and we are all training for long distance triathlon) it was hard! The run started with a sharp off road climb, and continued to be undulating thoughout the first 5.5km. 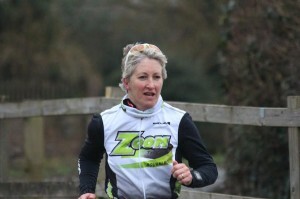 By the end of the run, I was the leading female, (at this stage, not sure where Clodie and Simon were). Out on the bike, we were greeted with a cold head wind for the first 11/12km, again on an undulating course. However, I was thoroughly enjoying my new machine, especially on the return journey. Only the run to go, which was a repeat of the first one, and despite having hands so cold I couldnt get my helmet off, I maintained my lead and finished a clear 6mins of the 2nd lady. Glad to have the first race under my belt. Clodie and Simon also put in a great race for their first multi sport event of the season, Clodie finishing 5th female and Simon 4th Super vet! Thanks racenewforest for a great race, friendly, and well organised as ever, and huge thanks to planet x for the team bike and kit, which will be out in everything from sprint duathlons through to ironman events throughout Europe.